After my friend was involved in a minor car accident, we thought she was going to be okay since the diagnosis was just a mild concussion. But after a while, she started getting these uncontrollable convulsions at the most awkward times. Recently, she had one so bad that she bit a small portion of her tongue off. Needless to say, this has significantly impacted her life negatively. On her request, we’ve collaborated to bring you this all inclusive article on epilepsy. So as we look at what epilepsy is in today’s segment, you’ll excuse me if my tone is a tad somber and not my usual excited self. I’ve seen what epilepsy can do first hand; the memory is still vivid and fresh. I just hope to give my Olive Nation as much information about this condition as possible so we can start treating our loved ones or at least keep them prepared in case of sudden and unexpected fits. 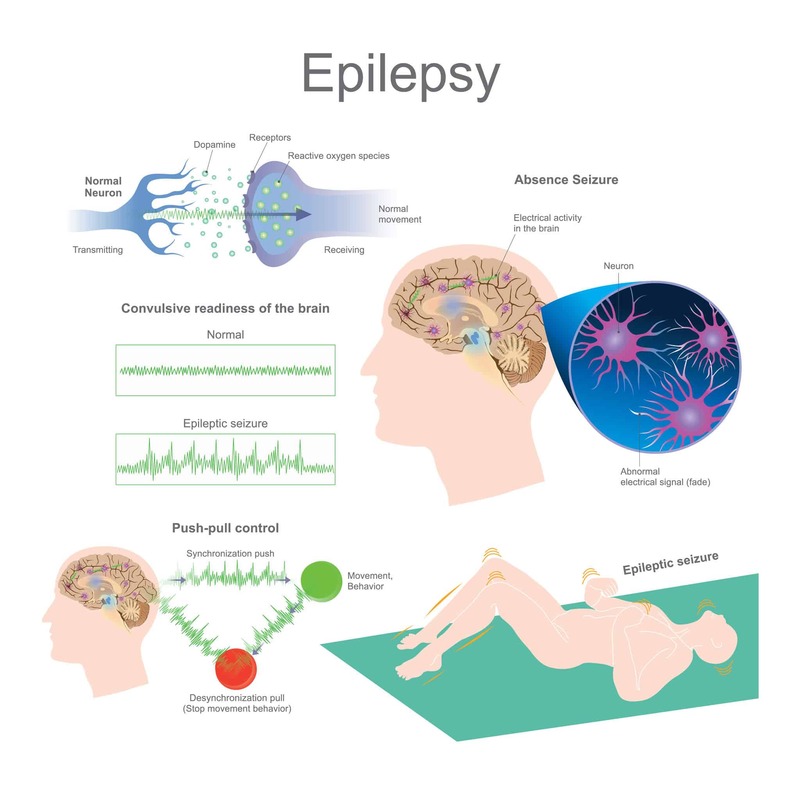 Epilepsy is a central nervous system (neurological) disorder, during which brain activity becomes abnormal causing seizures and sometimes loss of awareness. The electrical events that produce the symptoms occur in the brain. The details of that event, including its location, how it spreads, how it affects the brain and how long it lasts all have deep effects on the individual. The above are characteristics of epileptic seizures. This can lead to a range of consequences varying from frenzied shuddering movement to sudden loss of consciousness followed by an uncoordinated fall to the ground. In generalized seizures the bursts occur throughout the whole brain unlike in partial seizures where only part of the brain is affected. A generalized seizure is also referred to as a generalized tonic-clonic seizure, generalized convulsive epilepsy or a grand mal seizure. These seizures cause symptoms in the entire body. Here, epileptic activity occurs throughout the entire brain causing short term loss of awareness. They consist of a period of unconsciousness with a blank stare. Other symptoms may consist of repetitive movements such as lip smacking or quick incessant blinking. Absence seizures are momentary and last only two to ten seconds. After the seizure,there is no confusion, and the person can usually resume normal activities immediately. Tonic seizures mostly develop in childhood, although they can occur at any age. They cause muscle stiffness and are distinguished by facial muscle spasms. These tend to be followed by confusion with impaired consciousness. These are also referred to as drop attacks which lead to abrupt loss of muscle control and without warning. An epileptic person abruptly loses consciousness, collapses and falls down suddenly to the floor. The person may hit their head as they fall; they quickly gain consciousness and can stand and walk again. Clonic seizures begin in early childhood. During a clonic seizure, the affected person may lose control of bodily functions characterized by repeated and especially jerky muscle movements of the neck, arms and face. The person may momentarily lose consciousness, followed by confusion. If left unchecked, clonic seizures may eventually progress to generalized tonic-clonic seizures. 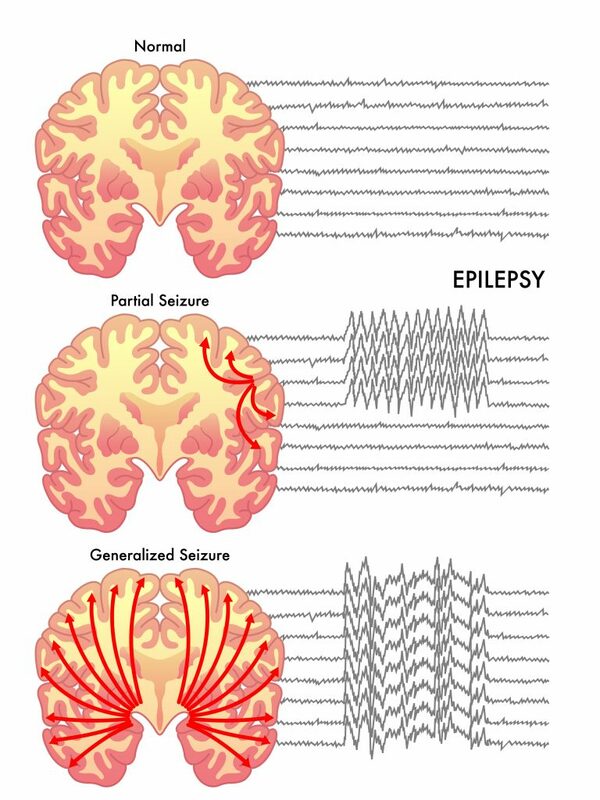 Myoclonic seizures can happen as a single event or in series in various forms of childhood epilepsy. They involve rapid muscle jerking in some parts or even all over the body which cause spontaneous quick twitching of the arms and legs. This may be characterized by a flung out hand, a shrugged shoulder, a kicking foot or a whole body jerking episode. This may cause the affected person to drop whatever they are holding or cause them to fall off a chair if they were seated or simply fall while walking. Also referred to as “grand mal seizures” – the short bursts affect the entire brain. Right from the start, the affected person loses consciousness. The episode usually lasts one to three minutes but can go up to five minutes. During the episode, the person usually produces a short, loud cry; but not due to pain. The cry is caused by the muscles in the chest contracting and releasing air between the vocal cords, thus making a sound. 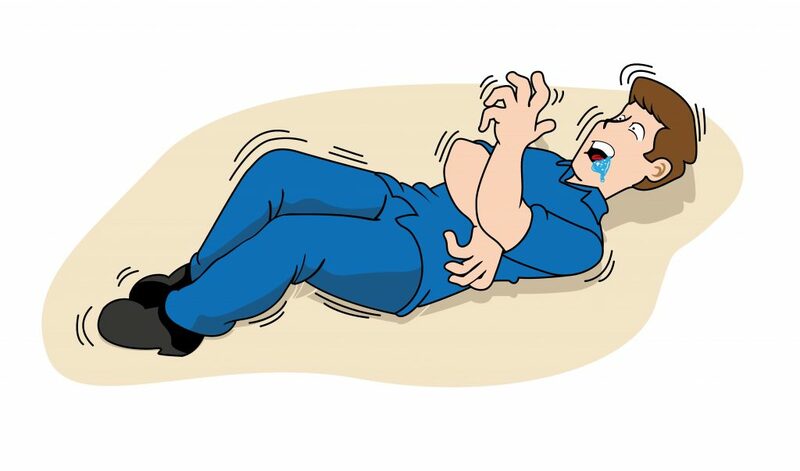 The muscles stiffen causing the person to fall to the ground. This causes increased pressure on the bladder and bowel. Due to the increased pressure, the affected may wet or soil themselves involuntarily and may bite the tongue which may result in bleeding. In extreme cases, the affected person may twitch and jerk rhythmically with irregular breathing. Frothing at the mouth is due to saliva that has not been swallowed during the seizure. During this time, the person may fall asleep and will need to rest. It is advisable not to wake them up. After a period of time, the person will regain full consciousness but may experience a headache as he/she wakes up. After a seizure, the person might feel confused, overwhelming fatigue, and disorientated, which could last from minutes to hours or even days. Following a seizure, the person may not remember having one, or might feel slightly unwell for a few hours. Head trauma is usually caused by falls, car accident as well as other traumatic injuries. Other health conditions that may cause head trauma include stroke, brain injury during birth, neurodegenerative diseases (which can cause growths affecting the brain), and brain tumors. After a brain injury, epilepsy may occur even years after the injury. These are structural changes that can be confirmed only after a brain scan (such as an MRI). Health ailments that cause damage to the brain (brain tumors or strokes) have also been found to cause epilepsy. People with a parent or sibling who has epilepsy are at an increased risk of developing epilepsy. Basically, genetic influence epilepsy runs in the family. Such genes may make a person more sensitive to certain environments that trigger the seizures. There are some medical conditions that can increase the risk of epilepsy. These include but not limited to stroke, Alzheimer’s and brain tumors. Age – children and older adults are most at risk of developing epilepsy, but the condition can occur at any age. 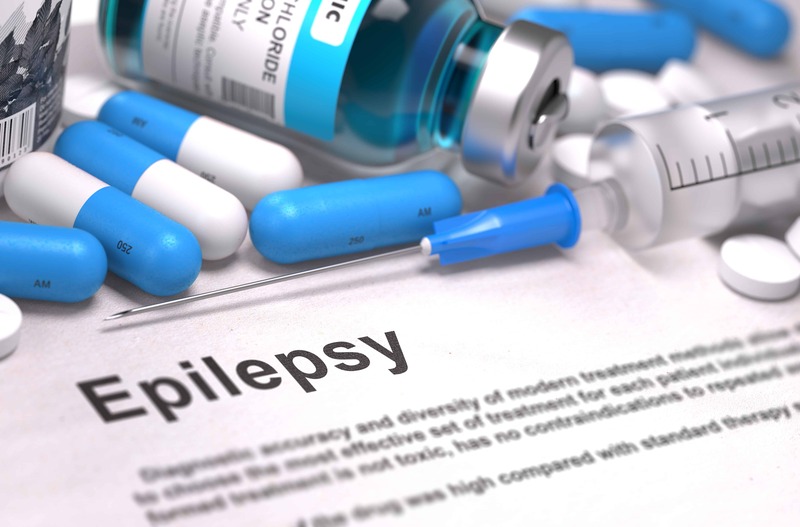 Family history – there may be at an increased risk of developing a seizure if there is a family history of epilepsy. Head injuries – head accidents that cause minor and major injuries are responsible for some cases of epilepsy. To reduce the risk it is recommended to always wear a seat belt while in a car, and a helmet while skiing, biking or engaging in other activities with a high risk of head injury. Stroke and vascular diseases – eating a healthy diet and exercising regularly may avert stroke and other vascular diseases. Epilepsy may be triggered by a stroke. Limiting or complete stoppage of intake of alcohol and cigarettes can reduce the occurrence of epilepsy drastically. Dementia – older adults with dementia have an increased the risk of epilepsy. Brain infections – can cause inflammation in the brain or spinal cord which can increase the risk. Having a seizure can lead to situations that are dangerous to the affected person and to others around him/her. Accidents: An epileptic person can have a seizure while driving or operating machinery. This may lead to either loss of awareness or control of the machine being operated. Tumbling: During a seizure episode, a fall is very likely which may result in injuring the head or breaking a bone. Drowning: Epileptics have a high likelihood of drowning while swimming or bathing in a bathtub due to the risk of having a seizure while in the water. Emotional health issues: Health issues could be as a result of the person’s inability to deal with difficulties as a result of the condition. People with epilepsy are most likely to have psychological problems such as anxiety and depression. Pregnancy Complications: Both the mother and baby are at risk of seizures during pregnancy. In an event that an expectant mother is under certain anti-epileptic medications, this may increase the risk of birth defects. Epilepsy can be treated using medication and if that does not help, medical practitioners may propose surgery as an alternative treatment. While most epileptic patients may be able to decrease the frequency and intensity of their seizures with anti-seizure medication, others may need to make dietary changes. For a doctor to prescribe the right medication and dosage, he will consider the current condition, regularity of seizures, age and take other factors into account, such as any other medications the patient may be currently taking. Essential oils can help to reduce both the frequency and the intensity of epileptic seizures. They can also help to deal with the after effects of seizures as well as the emotional impact of the condition. 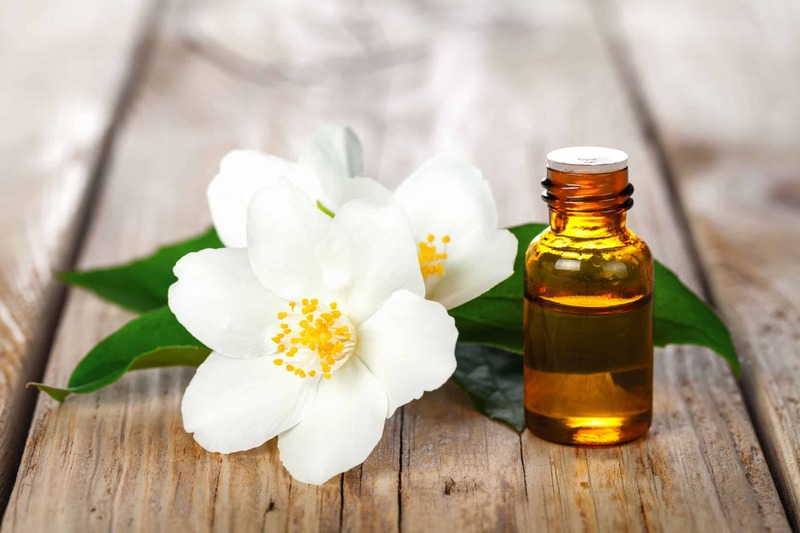 Although the results of several studies prove the efficacy of essential oils in the management of epilepsy, there are many who say that the use of these extracts should be shunned completely. 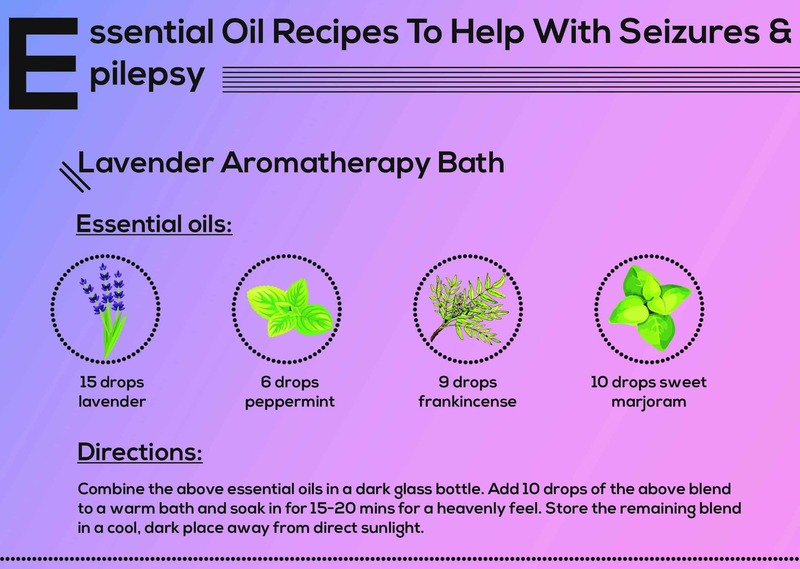 So, the million-dollar question is – can essential oils help with epilepsy or are they detrimental for epileptics? Like any treatment modality or medication to that matter, you can’t just make a random pick and expect it to work. 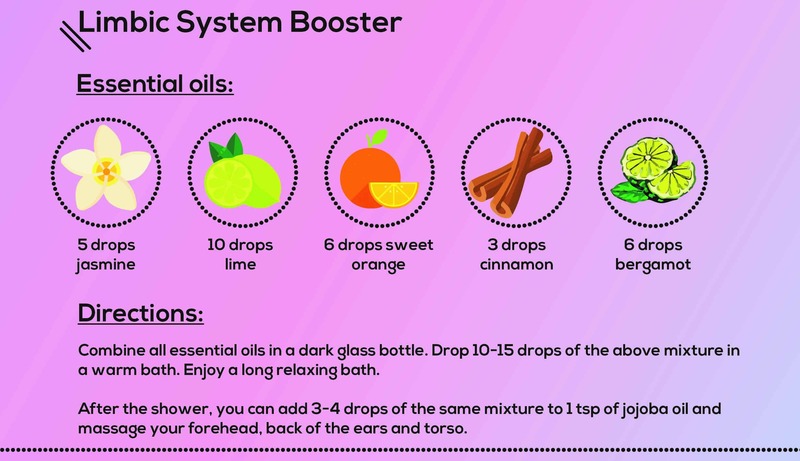 The problem is not so much with essential oils as it is with aromatherapy fans who believe that every oil is a bottle of an elixir that can be used to cure any and every ailment that you have ever heard of. In reality, every essential oil has its unique chemistry and the phytochemicals in these oils exert varying effects on the human body. In this sense, essential oils are no different from regular medication. For example, using a blood thinner to stem the bleeding from a wound will, of course, lead to adverse effects. Similarly, using an essential oil that stimulates the Central Nervous System (CNS) will create trouble for any person who suffers from epilepsy, has a family history and hence a high risk of suffering from seizures or has a high fever which can lead to seizures. Management of epilepsy is all about calming the CNS, so you need oils that can keep the hyperactivity of the CNS in check, and I am going to tell you about these oils in a bit. According to Tisserand et al, oils that contain thujone, and pinocamphone pose the greatest risk of causing seizures even when used topically at a dilution rate of just 0.25%. 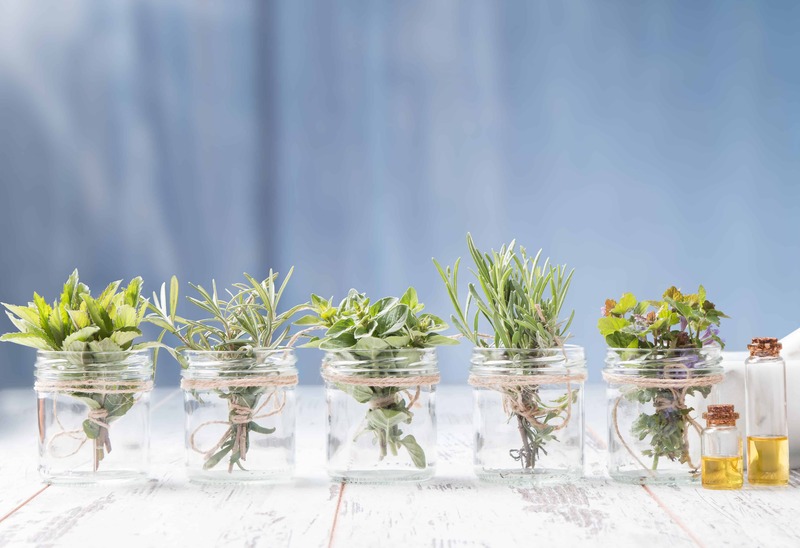 The oils that contain these phytochemicals include: hyssop (pinocamphone), western red cedar, sage, savin, wormwood, pennyroyal, tansy, thuja, yarrow, and mugwort. Essential oils that are exceptionally rich in camphor and methyl salicylate can also create trouble. These include wintergreen, birch, camphor, spike lavender and rosemary. Fenchone has a low risk for causing seizures but there is one report of fennel oil (contains significant amounts of fenchone) causing seizures upon ingestion. So, that is another oil to avoid. Additionally, eucalyptus, turpentine and camphorated oil poisoning (high oral doses) also causes seizures. Eucalyptus oil is known to interfere with some anti-convulsant drugs. For oils that contain methyl salicylate, the dermal maximum is about 2% to 10%. But, I would recommend not using these oils in any manner or form if you suffer from epilepsy or are a high-risk candidate. 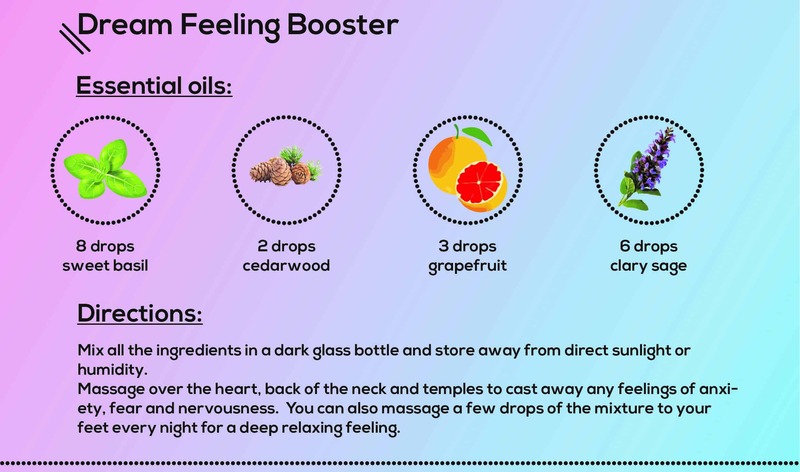 After all, why take the risk when you gave so many other essential oils that are known to calm the CNS and offer a myriad of other therapeutic benefits. A powerful CNS depressant, jasmine oil is one of the most effective oils for epilepsy. On its own and when combined with hypnosis and massage therapy, the oil yields amazing results in controlling the frequency and intensity of seizures. In a 2013 study, patients who used the oil for one year, managed to get complete control and freedom from seizures. In fact, even the memory of the aroma of jasmine oil was enough to suppress seizures. 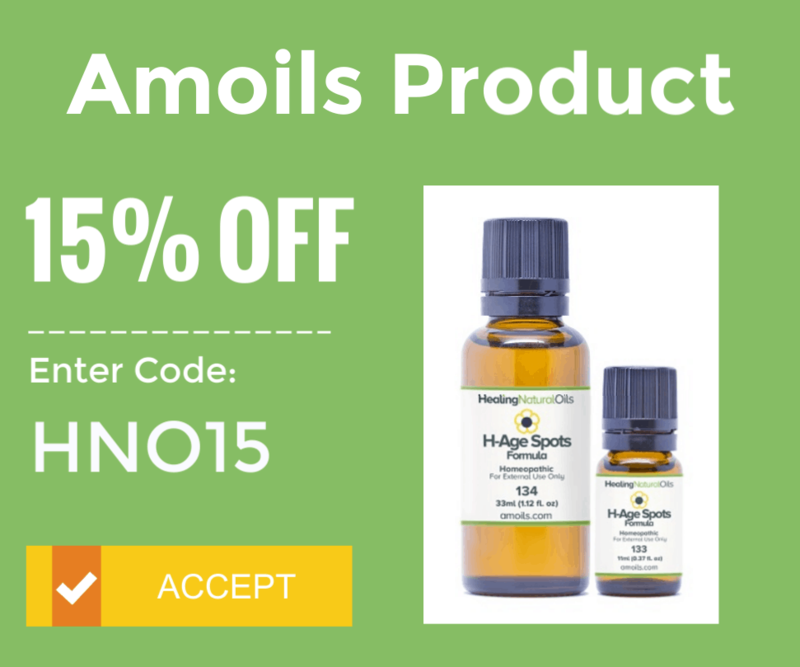 This linalool rich oil is known for its anxiolytic effect. The fresh, green, lightly floral and herbaceous fragrance of this oil is also a potent anticonvulsant because it acts directly on the NMDA receptors in the brain. Furthermore, it inhibits glutamate binding as well as the release of acetylcholine, which has a suppressing effect on the CNS. A 2017 study has shown that the oil is not just effective in lowering the frequency of seizures but also in controlling the anxiety, fear and depression caused by the condition. This oil rich in esters is good for more than just its anti-inflammatory effects, and is known to exert significant anticonvulsive effects. Moreover, apigenin, a flavonoid in the oil, is known to binds with GABA receptors, increasing the anticonvulsant action of the extract. 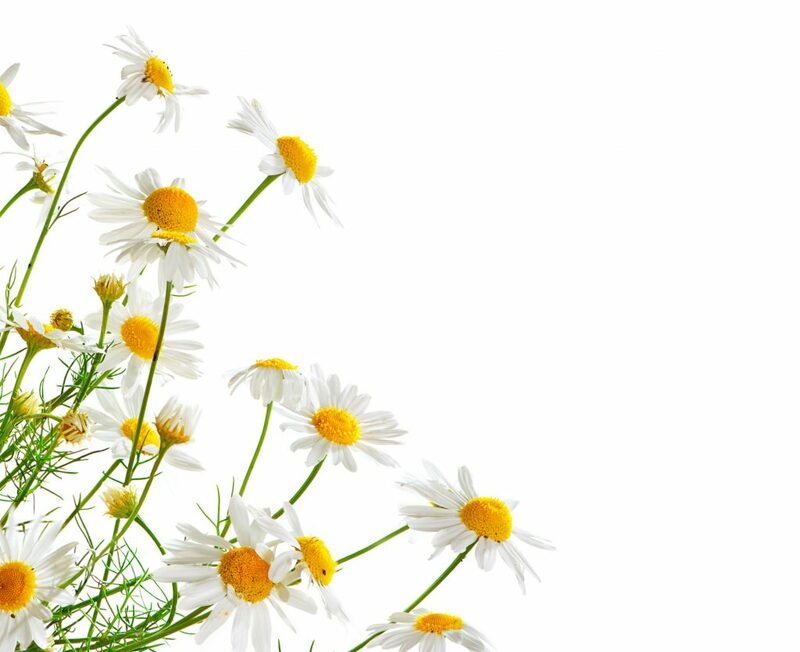 This flavonoid is also responsible for the gentle sedative properties of Roman chamomile oil. So, the extract can be used to control the onset of seizures as well as to deal with the pain and stress, which are usually the after effects of an epileptic episode. The anti-convulsant property of bergamot oil is attributed to its content of linalool and linalyl acetate. A powerful anxiolytic, bergamot helps to ease anxiety and also acts as a mild sedative. Both properties can help immensely to decrease the frequency and intensity of seizures. Moreover, the oil displays powerful anti-stress and anti-depressant effects. The hypnotically sweet aroma of this oil has long been employed for its an anxiolytic and antihypertensive effects. A potent sedative, this oil is second only to jasmine in terms of efficacy in the management of seizures. 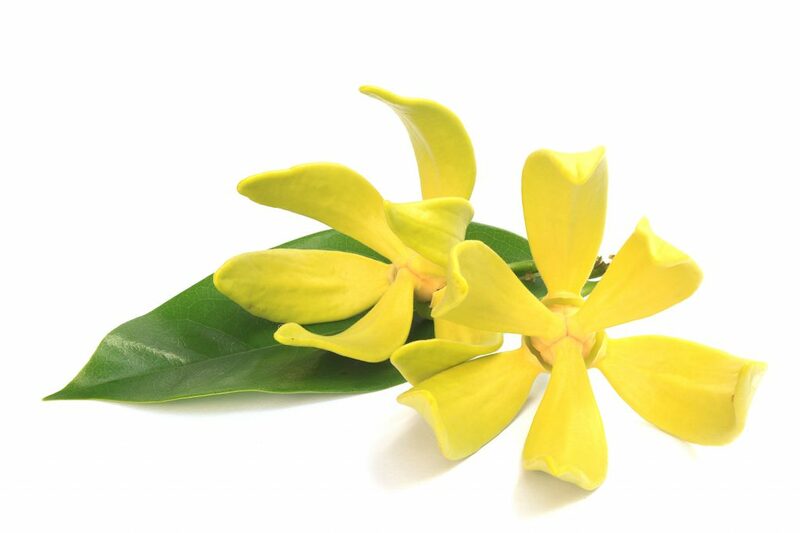 For those of you who can’t stand the aroma of jasmine, ylang ylang will prove to be the perfect replacement. The roots of this plant and the extract derived from it have both been used in Ayurveda to treat epilepsy. In clinical studies, the monoterpenes in this extract have displayed clear anticonvulsant activity. The analogs of pinene in this oil prevented audiogenic convulsions in rodent subjects and are known to work in a similar way in humans as well. Furthermore, the oil offers remarkable sedative properties. The sedative and hypotensive effects of this oil have been used extensively in folk medicine as well as in aromatherapy. The very same phytochemicals that offer these benefits are also responsible for its anticonvulsant effect. Although the precise mechanism of action of this oil is not well understood, it is known to significantly delay the onset of seizures and increase the latency period in between episodes. In fact, in rodent subjects, the effects of this oil were comparable to those of diazepam, a popular anti-epileptic drug. 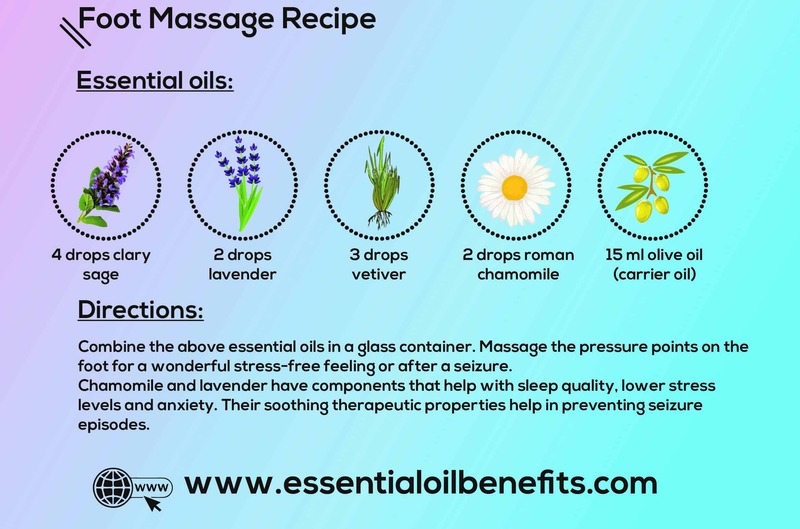 In addition to these, the essential oils of anise, clary sage, cedarwood, cumin, coriander, cinnamon, frankincense, lime, rose, sweet basil, sweet marjoram, orange, peppermint and few others can also be used in epilepsy management. 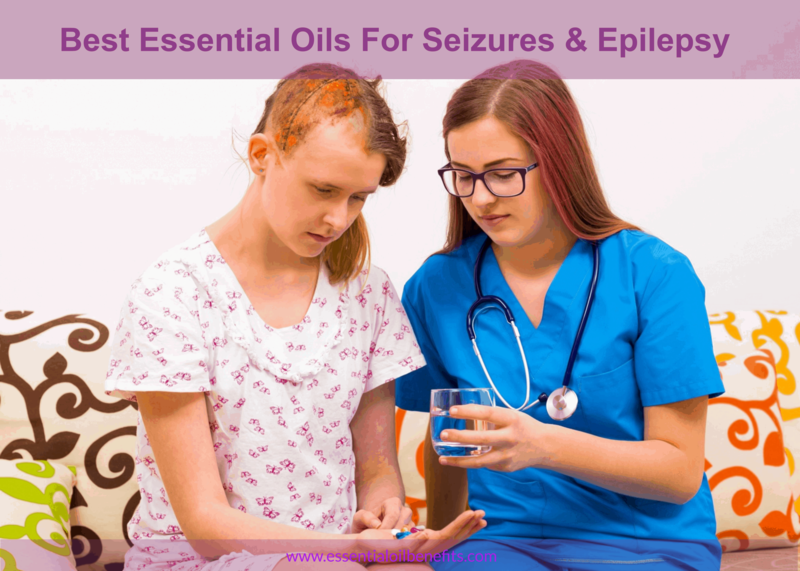 The best part of using essential oils in the treatment and management of epilepsy is that they can be used in conjunction with anti-epileptic medication and can be administered through diffusion or massage therapy. So, they offer a minimally invasive treatment option for controlling the condition. Combine the above essential oils in a dark glass bottle. Add 10 drops of the above blend to a warm bath and soak in for 15-20 mins for a heavenly feel. Store the remaining blend in a cool, dark place away from direct sunlight. Combine the above oils and in a dark glass bottle with dropper. Pour a few drops of the mixture in your hand and gently massage the neck and temples. You can also massage a generous amount of this mixture on the pressure points under the foot. Use in the evening before retiring to bed or as may be desirable and remember to wear socks to prevent the oil from staining the bed sheets. Combine all essential oils in a dark glass bottle. Drop 10-15 drops of the above mixture in a warm bath. Enjoy a long relaxing bath. After the shower, you can add 3-4 drops of the same mixture to 1 tsp of jojoba oil and massage your forehead, back of the ears and torso. 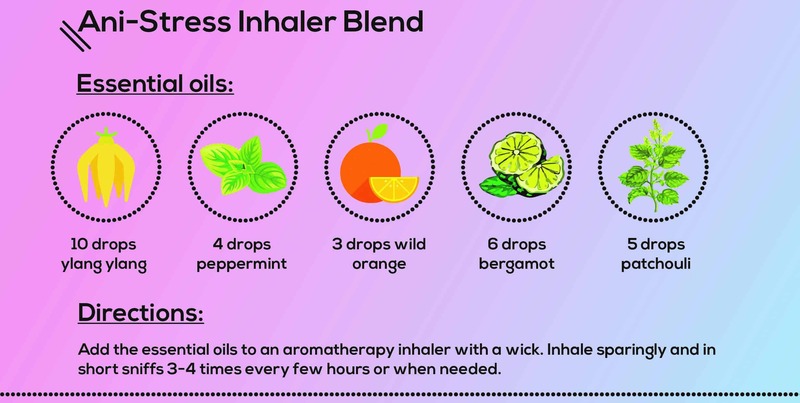 Add the essential oils to an aromatherapy inhaler with a wick. Inhale sparingly and in short sniffs 3-4 times every few hours or when needed. Mix all the ingredients in a dark glass bottle and store away from direct sunlight or humidity. Massage over the heart, back of the neck and temples to cast away any feelings of anxiety, fear and nervousness. 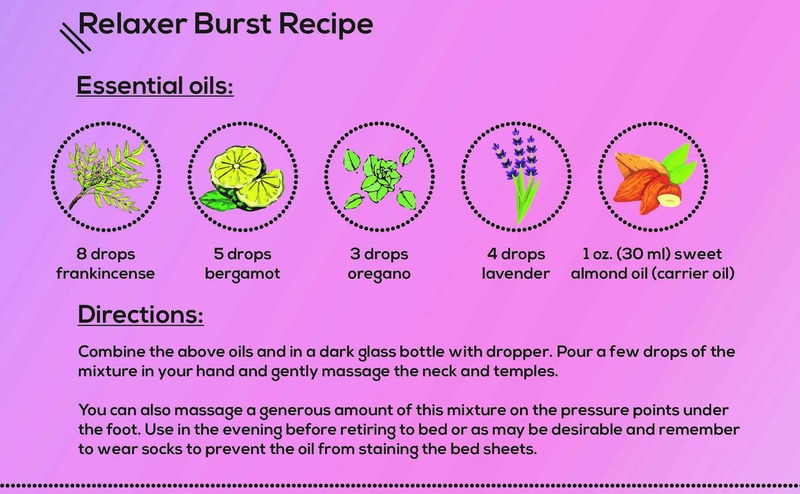 You can also massage a few drops of the mixture to your feet every night for a deep relaxing feeling. Combine the above essential oils in a glass container. Massage the pressure points on the foot for a wonderful stress-free feeling or after a seizure. Chamomile and lavender have components that help with sleep quality, lower stress levels and anxiety. Their soothing therapeutic properties help in preventing seizure episodes. As we wrap up this topic, it is important to note that essential oils cannot treat or cure epilepsy, but rather help with the symptoms. The brain is a complex network; each person’s case is different, and seizures always vary in severity and frequency. And just remember that there isn’t a single treatment or natural remedy that will work for everyone, and you should talk to your doctor before starting any treatment, including the use of essential oils. I have a grown daughter who has had seizures, that are under control now (she is taking Charlotte’s Web oil). My question is about some of the recipes including Clary Sage… isn’t sage one of the oils to avoid?? Also Eucalyptus, and is it Radiata or Globulus?